Stop by THE Motivation Station today for my post on the DIFFERENCE BETWEEN ANTI VIRUS & INTERNET PROTECTION aka drink your OJ or take antibiotics OR HOW FACEBOOK COST ME OVER $200 & DECADENT CHOCOLATE BROWNIES to make it all better! 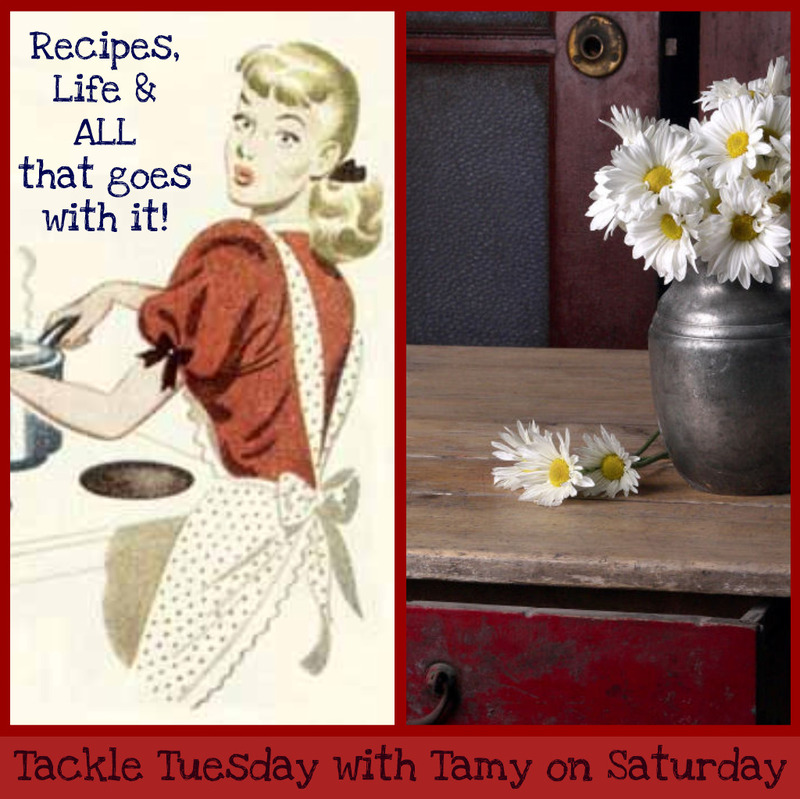 You may remember that I write a Tuesday post over at The Motivation Station. I invite you to join us if you too are struggling with anything in life. We are all there just to muddle through together and offer advice, helpful hints and laugh together. Ironically this week’s challenge deals with the same topic that the team members over at The Motivation Station have been struggling with. You see we too don’t have all the answers and are always in search of a better way to keep up with day to day life. We have been trying to “categorize” life so that we could motivate our readers as well as ourselves the past few months. The challenge in that is that none of us are all in the same place in life at the same time in life. This in and of itself is scary to me. Trying to write a single topic that appeals to many leaves me choosing my words very carefully instead of just typing and letting my words flow. While this month’s topic is taking care of business, that is one seriously broad topic! It also makes me keep falling back on the Yiddish proverb, Man Plans, God laughs! Every single time I see on it on a bumper sticker, I laugh because I know it is true. We all have plans. With each stage of life, we imagined who we would be when we “arrived.” But when we got there, things were not quite the way we imagined. Life continues to not turn out like we expect. In fact, at times life seemed to take another direction entirely. For many of us, it feels like we have failed. We don’t measure up. We are not who we thought we would be. Life is not turning out like we planned. So my question this week to our readers is what are you doing that is outside your comfort zone that we could help you with? I know I have been doing tons of it. How about you? Head on over to see Barbara’s awesome Spring Cleaning Checklist. Well there are a few updates I have that might help make your life easier. Due to my health conditions I try VERY hard to not to buy any chemicals whenever possible. I replace them with everyday household items like toothpaste, salt, baking soda, vinegar, vegetable oil and lemons. 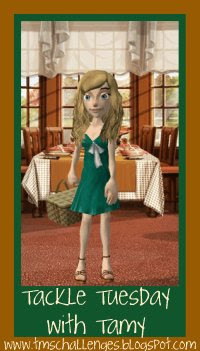 These are a few of the old wives tales that actually work and will save you money too! Lemons: the acid in lemons will work to remove rust and most dirt. You can add a few different things to create alternative pastes. First is salt and it makes a fantastic scouring paste, especially for cleaning the bacteria in kitchens and bathrooms. Or you can also dip it in baking soda for an alternative paste that is great at removing stains from Formica and porcelain. Don’t use it on delicate marble, it may discolor it. If you mix it with cream of tartar, it works great on grouts like a bleach. Lemon juice will neutralize the small of raw fish on your skin as well as work as a brightening agent in the laundry. 1/2 cup lemon juice per load in the rinse water will brighten your whites. When you’re all done, toss the lemon rinds in the garbage disposal to clean it also while disposing of the lemon. The great side benefit is that refreshing citrus aroma. Vinegar: The basic nature of vinegar creates an environment that bacteria, mold and mildew just don’t like to grow in which makes it the perfect cleaning agent for the bathroom. I literally buy white vinegar by the gallon. Vinegar is a wonderful way to combat mineral deposits in your coffeemaker, iron, dishwasher, shower heads and faucets. Use it full strength on the faucets and shower heads. Add 1/2 cup to your dishwasher and run a quick cycle to clean out the mineral deposits. In your steam iron or your coffeemaker use 1/2 vinegar 1/2 water for a cycle to clean out the mineral deposits. Here is a very simple drain Cleaner recipe I use every month to prevent clogged drains. I also keep a spray bottle of 1/2 vinegar and 1/2 water in the shower. I spray the walls every morning after I shower and have not had to clean ANY mold or mildew since. Vegetable Oil: One of the best uses for vegetable oil is in place of paint thinner for getting paint off your skin. Using vegetable oil with a soft cloth will remove scuff marks. Olive oil in particular adds a clean sparkle to stainless steel surfaces. It can also be used to hydrate aged wood especially if it has been exposed to excess sun. To make your own furniture polish mix 2 cups of vegetable or olive oil with the juice of 1 lemon. Always use a soft cloth. This also works on rattan and wicker furniture to prevent them from drying out and cracking. Baking Soda: A baking soda paste works to clean things like your can opener, BBQ grill and utensils, laundry stains and as a toothpaste. In powder form it can be sprinkled into carpets and upholstered furniture as an odor absorber. Toothpaste: Toothpaste, plain old paste style works to clean sooooooooo many things! It works on cleaning chrome, tarnished silverware, piano keys, Tupperware stains, plastic ware as well as a an acne treatment. A1/Ketchup: Both of these will work as cleaning agents on copper and brass. Be sure to rinse well after and dry. 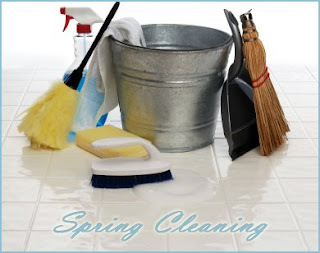 I LOVE my house and I’m starting to do my spring cleaning around here as well as finishing a few remodeling projects and found a few more suggestions for home made cleaning solutions that I thought I would share with you. The cost of commercial chemical-based products can be high as well as the long term health concerns for the family, and environmental pollution caused by their manufacture and disposal. For many home-cleaning chores, you can make your own cleaning products using the formulas listed below. There are many inexpensive, easy-to-use natural alternative homemade substitutions which can safely be used in place of commercial household products. Here is a list of common, environmentally safe products which can be used alone or in combination for a wealth of household applications. Isopropyl Alcohol – is an excellent disinfectant. (It has been suggested to replace this with ethanol or 100 proof alcohol in solution with water. Trisodium phosphate (TSP) – a mixture of soda ash and phosphoric acid. TSP is toxic if swallowed, but it can be used on many jobs, such as cleaning drains or removing old paint, that would normally require much more caustic and poisonous chemicals, and it does not create any fumes. Certain combinations of the above basic products can provide less harmful substitutions for many of the commercial home products on the market today. In most cases, they’re also less expensive. Here are some formulas for safe, alternative home care products. These formulas and substitutions often help minimize the use of toxic substances in your home, and reduce the environmental harm caused by the manufacture, use and disposal of toxins. Results may vary though. Before applying any cleaning formulations, test in small hidden areas if possible. Always use caution with any new product in your home. Make sure to keep all home-made formulas well-labeled, and out of the reach of children. All-Purpose Cleaner: Mix 1/2 cup vinegar and 1/4 cup baking soda (or 2 teaspoons borax) into 1/2 gallon (2 liters) water. Store and keep. Use for removal of water deposit stains on shower stall panels, bathroom chrome fixtures, windows, bathroom mirrors, etc… Another alternative is microfiber cloths which lift off dirt, grease and dust without the need for cleaning chemicals, because they are formulated to penetrate and trap dirt. There are a number of different brands. A good quality cloth can last for several years. Air Fresheners: Commercial air fresheners mask smells and coat nasal passages to diminish the sense of smell. Baking soda or vinegar with lemon juice in small dishes absorbs odors around the house. Having houseplants helps reduce odors in the home. Prevent cooking odors by simmering vinegar (1 tbsp in 1 cup water) on the stove while cooking. To get such smells as fish and onion off utensils and cutting boards, wipe them with vinegar and wash in soapy water. Keep fresh coffee grounds on the counter. Grind up a slice of lemon in the garbage disposal. Simmer water and cinnamon or other spices on stove. Place bowls of fragrant dried herbs and flowers in room. Carpet stains: Mix equal parts white vinegar and water in a spray bottle. Spray directly on stain, let sit for several minutes, and clean with a brush or sponge using warm soapy water. For a heavy duty carpet cleaner, mix 1/4 cup each of salt, borax and vinegar. Rub paste into carpet and leave for a few hours. Vacuum. Disinfectant: Mix 2 teaspoons borax, 4 tablespoons vinegar and 3 cups hot water. For stronger cleaning power add 1/4 teaspoon liquid castile soap. Wipe on with dampened cloth or use non-aerosol spray bottle. (This is not an antibacterial formula. The average kitchen or bathroom does not require antibacterial cleaners. To disinfect kitchen sponges, put them in the dishwasher when running a load. Drain Cleaner: For light drain cleaning, mix 1/2 cup salt in 4 liters water, heat (but not to a boil) and pour down the drain. For stronger cleaning, pour about 1/2 cup baking soda down the drain, then 1/2 cup vinegar. The resulting chemical reaction can break fatty acids down into soap and glycerin, allowing the clog to wash down the drain. After 15 minutes, pour in boiling water to clear residue. Caution: only use this method with metal plumbing. Plastic pipes can melt if excess boiling water is used. Also, do not use this method after trying a commercial drain opener–the vinegar can react with the drain opener to create dangerous fumes. Floor Cleaner and Polish: VINYL & LINOLEUM: mix 1 cup vinegar and a few drops of baby oil in 1 gallon warm water. For tough jobs, add 1/4 cup borox. Use sparingly on linoleum. WOOD: apply a thin coat of 1:1 vegetable oil and vinegar and rub in well. PAINTED WOOD: mix 1 teaspoon washing soda into 1 gallon (4L) hot water. BRICK & STONE TILE: mix 1 cup white vinegar in 1 gallon (4L) water; rinse with clear water. Most floor surfaces can be easily cleaned using a solution of vinegar and water. For damp-mopping wood floors: mix equal amounts of white distilled vinegar and water. Add 15 drops of pure peppermint oil; shake to mix. Furniture Polish: For varnished wood, add a few drops of lemon oil into a 1/2 cup warm water. Mix well and spray onto a soft cotton cloth. Cloth should only be slightly damp. Wipe furniture with the cloth, and finish by wiping once more using a dry soft cotton cloth. For unvarnished wood, mix two teaspoons each of olive oil and lemon juice and apply a small amount to a soft cotton cloth. Wring the cloth to spread the mixture further into the material and apply to the furniture using wide strokes. This helps distribute the oil evenly. Metal Cleaners and Polishes: ALUMINUM: using a soft cloth, clean with a solution of cream of tartar and water. BRASS OR BRONZE: polish with a soft cloth dipped in lemon and baking-soda solution, or vinegar and salt solution. CHROME: polish with baby oil, vinegar, or aluminum foil shiny side out. COPPER: soak a cotton rag in a pot of boiling water with 1 tablespoon salt and 1 cup white vinegar. Apply to copper while hot; let cool, then wipe clean. For tougher jobs, sprinkle baking soda or lemon juice on a soft cloth, then wipe. For copper cookware, sprinkle a lemon wedge with salt, then scrub. GOLD: clean with toothpaste, or a paste of salt, vinegar, and flour. SILVER: line a pan with aluminum foil and fill with water; add a teaspoon each of baking soda and salt. Bring to a boil and immerse silver. Polish with soft cloth. STAINLESS STEEL: clean with a cloth dampened with undiluted white vinegar, or olive oil. For stainless cookware, mix 4 tbs baking soda in 1 qt water, and apply using a soft cloth. Wipe dry using a clean cloth. Mothballs: The common mothball is made of paradichlorobenzene, which is harmful to liver and kidneys. Cedar chips in a cheesecloth square, or cedar oil in an absorbent cloth will repel moths. The cedar should be ‘aromatic cedar’, also referred to as juniper in some areas. Cedar chips are available at many craft supply stores, or make your own using a plane and a block of cedar from the lumberyard. Homemade moth-repelling sachets can also be made with lavender, rosemary,vetiver and rose petals. Dried lemon peels are also a natural moth deterrent – simply toss into clothes chest, or tie in cheesecloth and hang in the closet. Paint Brush Cleaner: Non-toxic, citrus oil based solvents are now available commercially under several brand names. Citra-Solve is one brand. This works well for cleaning brushes of oil-based paints. Paint brushes and rollers used for an on-going project can be saved overnight, or even up to a week, without cleaning at all. Simply wrap the brush or roller snugly in a plastic bag, such as a used bread or produce bag. Squeeze out air pockets and store away from light. The paint won’t dry because air can’t get to it. Simply unwrap the brush or roller the next day and continue with the job. Fresh paint odors can be reduced by placing a small dish of white vinegar in the room. Water Rings on Wood: Water rings on a wooden table or counter are the result of moisture that is trapped under the topcoat, but not the finish. Try applying toothpaste or mayonnaise to a damp cloth and rub into the ring. Once the ring is removed, buff the entire wood surface. Window Cleaner: Mix 2 teaspoons of white vinegar with 1 liter (qt) warm water. Use crumpled newspaper or cotton cloth to clean. Don’t clean windows if the sun is on them, or if they are warm, or streaks will show on drying. The All-Purpose Cleaner (above) also works well on windows. Be sure to follow the recipe, because using too strong a solution of vinegar will etch the glass and eventually cloud it. May the motivation be with you! Be sure and stop by The Motivation Station and see how we’re starting off the new year with motivational challenges. January is health and fitness month. We’d love to see you there. Don’t forget to visit THE MOTIVATION STATION! It’s an all new challenge blog hosted by Martha, Linda, Martha (just to create some confusion 😉 and Me. The fun starts bright and early tomorrow, we hope you”ll stop by! 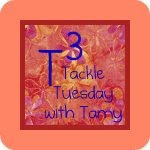 Tackle Tuesday with Tamy is debuting at THE MOTIVATION STATION bright and early Tuesday. Come check us out.